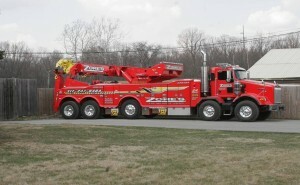 ← Call Zore’s for All Your Light, Medium, and Heavy Duty Towing Needs in Indianapolis! Aside from hazardous snow and ice, towing can be a challenge all on its own. Safe and effective towing requires a certain level of focus, preventative maintenance, and knowledge. 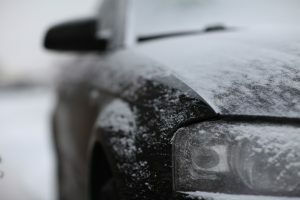 But in the wintertime, drivers need to take on a whole new level of precautions, as well as, practice a separate set of techniques to manage snow, ice, and slippery conditions. Continue reading to learn some helpful advice for winter towing. All of the fundamentals of telling remain the same, in terms of setup, parts, hitching a trailer, and more. The difference between standard towing and winter towing is simply a matter of changing your towing techniques, attaching safety chains properly, and using snow chains. Let’s take a closer look! Snow chains are an excellent accessory for winter driving because they allow your tires to gain extra traction on the road and slippery conditions. Snow chains are available at any automotive parts store or local home improvement store with an automotive department. Depending on the size you need, prices will vary but typically remain reasonable. Be sure to choose the proper size chains for your towing vehicle, vehicles, and/or trailer. It is helpful to practice fitting and removing your snow chains so that you are efficient when the time comes to use them. Also called towing cables or straps, safety chains are a common accessory used during the winter to provide extra security when towing. In fact, it is recommended to use safety chains for every tow, not just wintertime towing. Safety chains help to prevent uncontrollable swaying, swerving, and diverging of your trailer or the vehicle being towed. You can find them any automotive parts store or local home improvement store with an automotive department. Just be sure to choose the proper size for your towing vehicle. Towing in the snow and ice is very similar to standard towing; however, you will need to invoke some additional precautions. You will need to give yourself more time to come to a stop, and you’ll also need to give yourself more time to take turns, accelerate, and decelerate. It is recommended to visit a large vacant parking lot to practice all of these maneuvers in your full towing setup. If your towing vehicle gets stuck in the snow, contact a reputable Indianapolis towing company for professional recovery services you can trust. Call Zore’s Towing at 317-247-8484 for 24 hour towing service in Indianapolis, Indiana and its surrounding counties. We are highly trained and certified to truck operators that retain a large fleet of wrecker equipment that allows us to recover and tow all make and model vehicles and commodities. Call 317-247-8484 to request a free estimate for Indianapolis towing and recovery, today. This entry was posted in Towing and tagged Indianapolis Towing company, Indianapolis Towing Service, towing in snow, towing tips, winter towing advice. Bookmark the permalink.